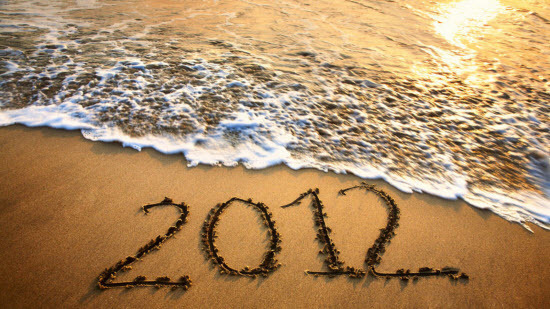 I’m going to set resolutions for 2012. I feel strongly that I need to do this more so than ever. There are a lot of things about MS that are just plain cruel. Unfortunately, most of these things cannot really be controlled no matter how hard we try. There is another cruelty that, while I can’t control it, someone else can. I’m talking about insurance companies. I’ve been paying hundreds of dollars every month for my Copaxone. Last year, I was so frustrated by this that I called to see what my copays would be for Gilenya. It’s a pill so I thought it would be cheaper than the injections. I was told my copays would be $50 a month….yay! So, you can imagine my joy when my neurologist told me at my visit in November that he thought Gilenya would be a good choice for me but I could also think about Tysabri. After months of researching and asking questions about both Gilenya and Tysabri I decided to change to Gilenya. Changing treatment for an MS patient is a really big deal. We don’t have much to fight with and what we do have takes time to make a difference. So, before I called my neurologist to start the Gilenya ball rolling, I called my insurance company to verify the out-of-pocket cost again. This is where my bad mood started. “The medication you’re inquiring about exceeds your allowed coverage” and “Would you like to talk with a pharmacist to find an affordable option?”. Arrgghh! *Big breath in and slowly exhaling* I won’t go on to complain and express all my frustrations about every part of this because I’m sure anyone reading this has experienced similar frustration. My biggest/number one resolution for the new year is to make the best of all of this. So I have thousands of dollars on a credit card- I get points to use for Christmas at the end of the year. So I get to continue injecting myself with Copaxone- it really is the safest of all the DMDs. So I will continue to get lipoatrophy for at least another year- I have a really good excuse to not have to wear shorts in the summer. I have decided to start the year off with a smile and I hope you will too. There is a silver lining, we just have to sometimes agree to see it. I wish someone would make the decision for me. I know whatever I decide I’ll question incessantly yet if someone else were to make the decision I would trust it. I guess I’m still working on trust issues with myself. One of the hardest parts about having MS is all the uncertainty. How am I going to feel in the morning? Is this heat going to knock me off my feet? Will this glass of wine give me a four-day hangover? Will my MRI show progression? Will the therapy I choose help me? This last one is the uncertainty that’s keeping me up at night. I see my neurologist the beginning of May and, at that visit, I need to have my decision made. Do I switch to Tysabri or Gilenya or do I take my chances with staying on Copaxone? I’ve been on Copaxone for three years now and it’s worked really well. I haven’t relapsed and my MRIs haven’t changed. What has changed is my body. I have developed lipoatrophy from my injections and I am progressively losing places to inject. I don’t want to continue injecting to where I lose the option to inject at all. One of the first things my neurologist told me, and I agree, is that I don’t want to run out of options. I don’t want to take injections off the table by injecting Copaxone for too long. The other injectable treatments don’t cause lipoatrophy like Copaxone but they come with other side effects that I know would be really hard for me in other ways. Still, I need to have these as options in case everything else doesn’t or stops working. Tysabri and Gilenya are riskier than the injectables. There have been deaths from Tysabri and just this week a man died within 24 hours of taking his first dose of Gilenya. Now here comes the hard part, because when death is thrown on the table you’d obviously avoid it at all costs, but it’s not so black and white. First, we don’t know if Gilenya was the cause or even a factor in this man’s death and, if it was, 28,000 people have not died. Those are still really good odds. The odds are really good with Tysabri as well. Both treatments require testing and screening before treatment can begin and you are closely monitored while on them. I tell myself that it’s the quality/quantity question and without a doubt I choose quality over quantity. My problem is deciding where to draw the line. It’s the uncertainty while trying to stay ahead of this disease in any way that I can that has me up well into infomercial time. How far do you go to do that? Over the next four months I’m going to read as much as I can and make a list of questions for my doctor. I know it’s going to be like the time when I was a little girl and after waiting almost two hours to get to the top of the water slide line had to decide which of the three terrifying slides I was going to plummet down or would I take the walk of shame back down the line. I don’t like being scared and, now, I’m feeling terrified. I also don’t want my decision to ever make me feel ashamed. I am a wife and a mother and I am needed by three amazing humans. I don’t want to let them down…at all. I obviously don’t want to die, but I also want to be able to walk, see and really participate in our life together. I want to win, but I want someone to tell me how to do that. What would you do?